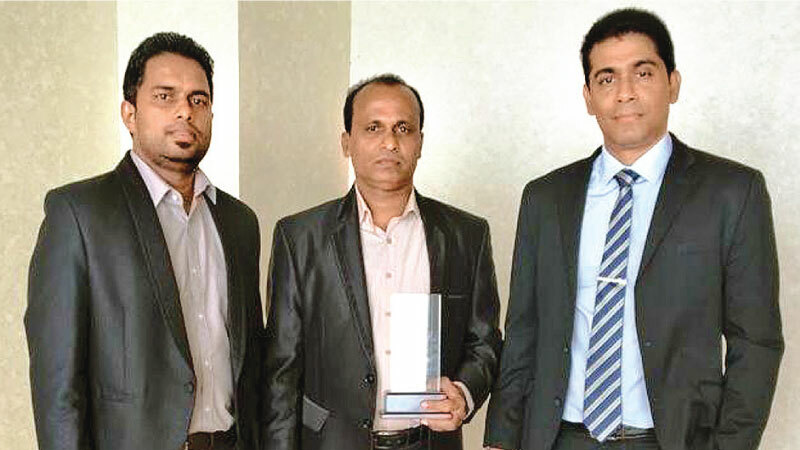 Boston Devices (Pvt) Ltd, the air conditioning and convection systems provider of Marino Mall multipurpose development project was appreciated and presented with a service excellence award and a certificate for successful completion of the project. The awards ceremony organized by DR Hotels (Pvt) Ltd, a subsidiary of the reputed Damro group, in appreciation of contractors and suppliers of Marino Mall development project, was held recently at Marino Beach hotel. DR Hotels has made a massive investment of Rs.12.5 billion in Marino Mall development project in which the contract for fixing AC and convection system for the building complex was worth around Rs 650 Million.This huge project was completed by Boston Devices with contributions from a large number of suppliers within 3 years. Obtaining the contract, having competed with local and foreign giants in the field, and completing it beyond the expectations and being appreciated and awarded for the successful completion of the same is undoubtedly a remarkable milestone in Boston Devices (Pvt) Ltd’s journey. Commenting on the receipt of the service excellence award, Manjula Navaratne, MD, Boston Devices (Pvt) Ltd, said “It is not an easy task to complete a project of this scale successfully, as it involved working with a large number of suppliers. As a supplier we consider it a remarkable achievement to have completed this huge project beyond the expectations of the investors. We made it. As a company we accomplished the mission with responsibility. Though there were many who predicted negatively at the beginning we proved that Boston Devices have guts, strength, unity and determination to turn the impossible in to possible. This is an award presented in recognition of the service excellence of Boston Device s (Pvt) Ltd. With this achievement we have been able to receive yet another service providing contract from the same investor”.